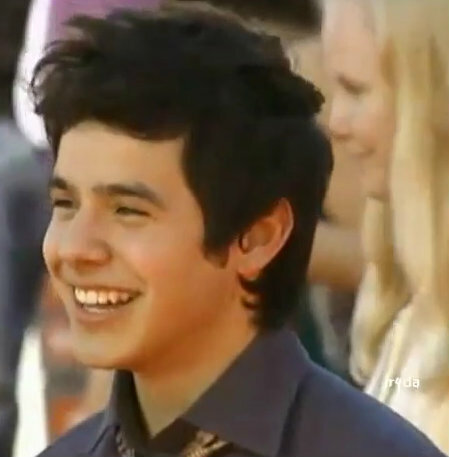 I’m so glad that I was able to witness David through his ‘growing’ years. 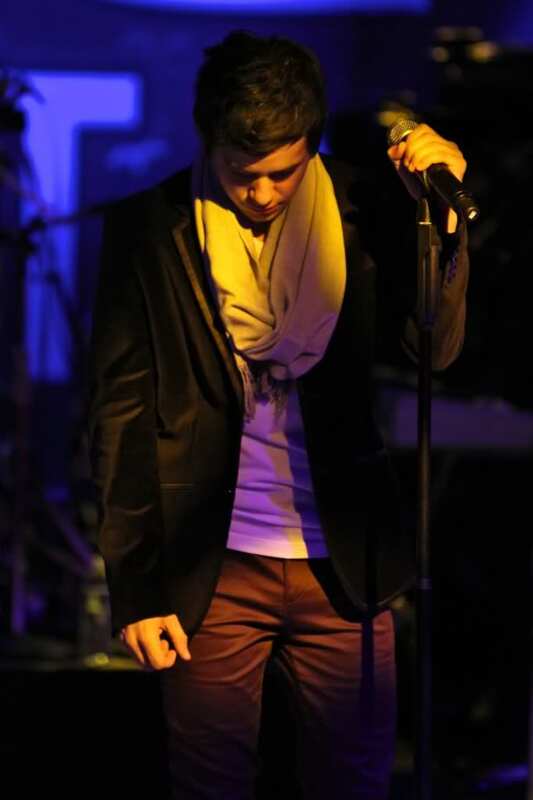 The time when he was hanging onto the mic stand for dear life in his baggy pants and T-shirts. Oh, and the scarves. Then he became like a spring, bouncing around the stage carrying the mic with him, killing us with flirty eyebrows, and wearing better fitting jeans and different kinds of shirts (there was that awesome pink shirt and still the scarves) and had the amazing hair styles. 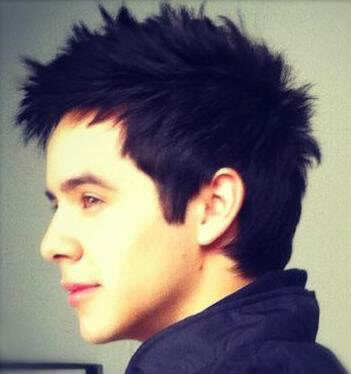 But now, I’m perfectly content with who David is. What he has become. 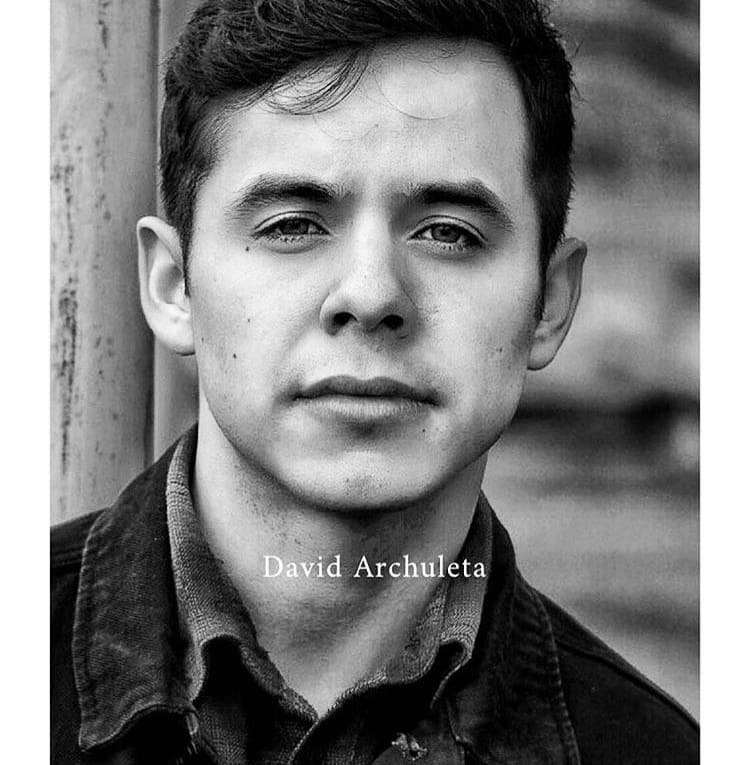 Still the handsome, humorous and witty David that we’ve been watching since 2007, but a man who is comfortable with who he is. A man who isn’t afraid to tell the world what he’s thinking and how he got to the point he is at now. 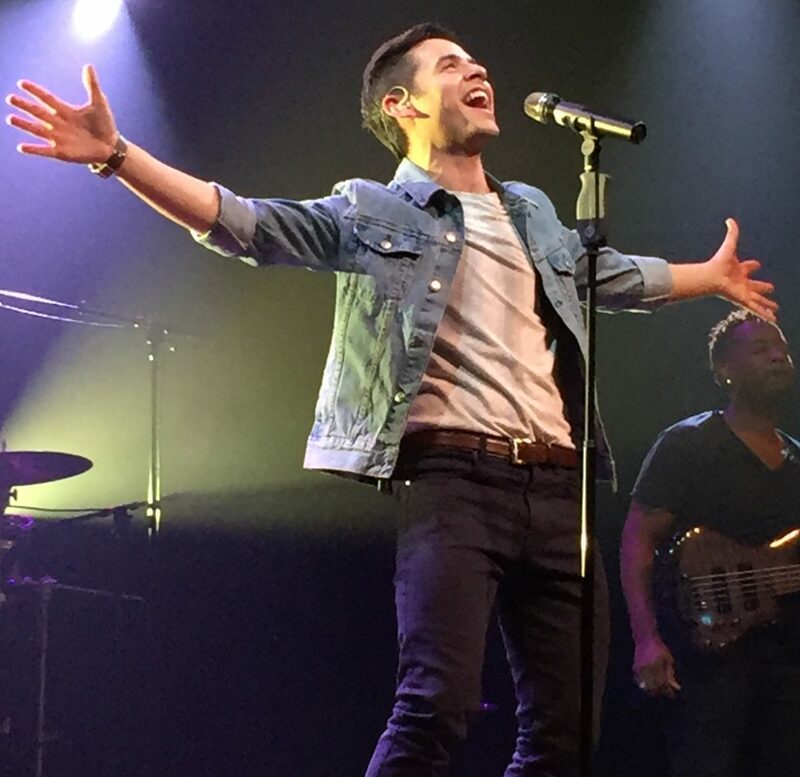 A performer who has developed more fashion sense in the clothes he wears on stage (we’ve still seen some scarves 🙂 ) and yet isn’t afraid to wear the most wrinkled shirt in the closet around town, if that’s the mood he’s in. I do miss the amazing hair, but I also don’t mind the toned down look — he wears it well. With the head of hair he owns… wow! I love when he uses the flirty eyebrows and points those long fingers, and dances little snippets of fancy footwork here and there. No bouncing around, but some seriously great stage presence (he owns it). I’m just happy to be a fan of the most beautiful and versatile Voice on the planet. And, of the most beautiful, inside and out, honest man that owns that Voice. 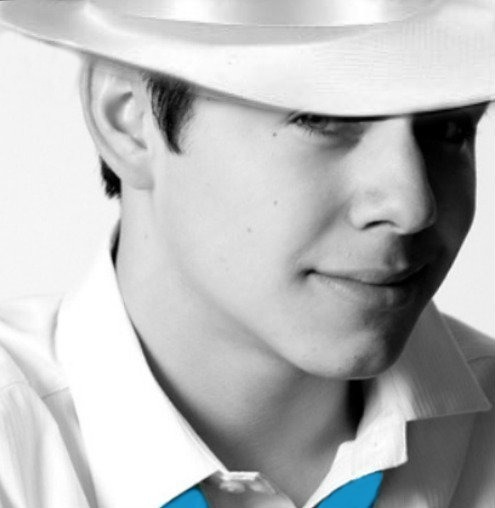 The Voice that is definitely a gift and a treasure. The Voice that David uses to make others happy and peaceful. This old picture of David and his mother, Lupe has become a classic. 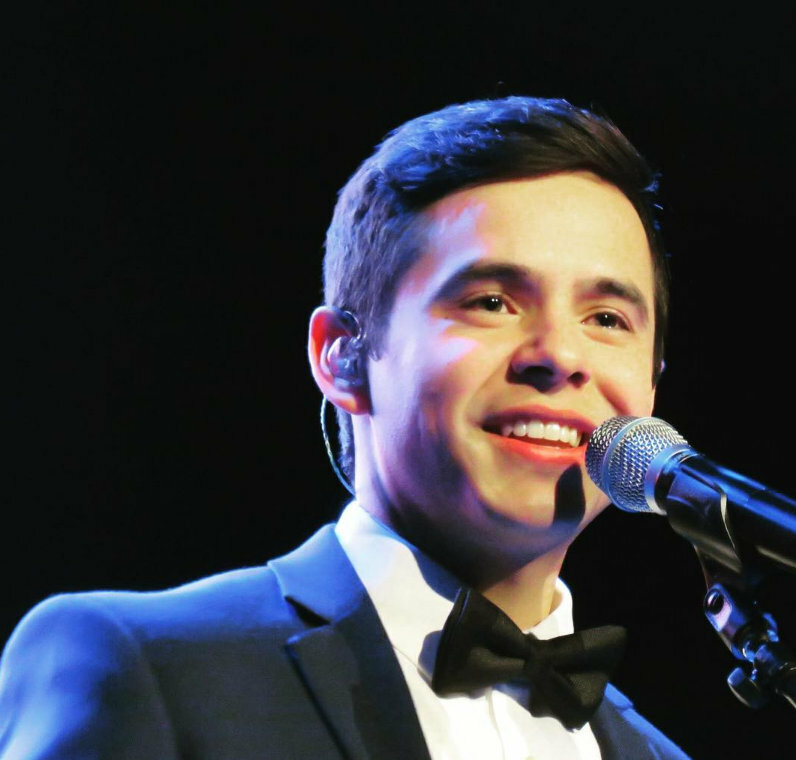 It’s posted here in honor of both Mother’s Day and the seventh anniversary of his trip back home to Murray, Utah during his stint on American Idol. No matter how far, I hope David is able to spend Mother’s Day with his Mom this year. 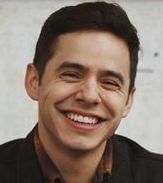 While David was away on his mission he released two albums; “No Matter How Far” and “Begin”. From “No Matter How Far”, we have heard Wait, Everything And More, and Love Don’t Hate performed live. I’ve always wondered if I would have the opportunity someday to hear some of the others live too. For example, Nothing Else Better To Do, Tell Me, Heart Falls Out, Notice Me and Don’t Run Away. Don’t Run Away being at the top of my list. 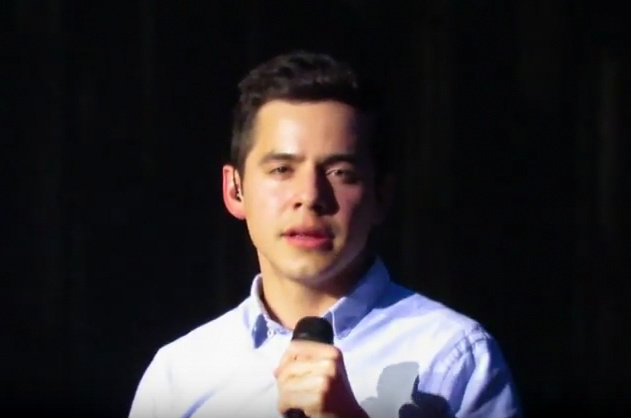 What a surprise when he performed it live at Rootstech. 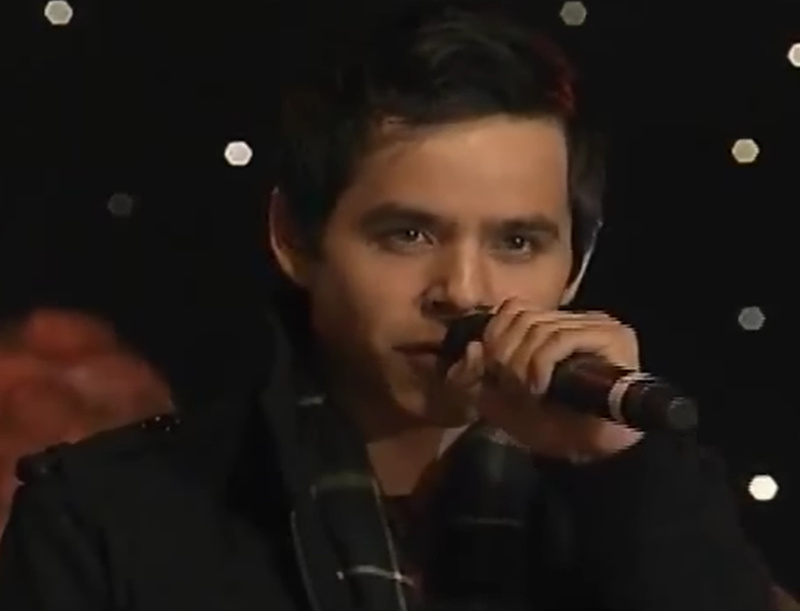 David’s simple introduction, “I’ve never sung this next song live before, but here we go”. I recognized it immediately and just couldn’t believe it. It’s the performance I watch the most from that day. 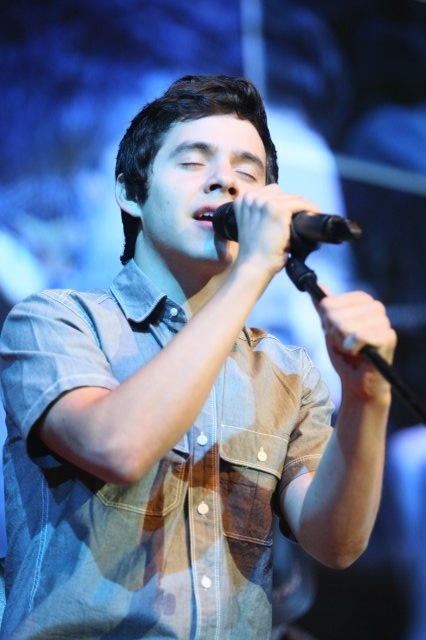 It’s David singing from his soul, the passion and cry in his voice reaching out to all. A music video was also released while he was away which had a million views. A simple but beautiful sequence of drawings by Kylie Malchus fit the song perfectly. I was saddened that she wasn’t able to get into the conference hall at Rootstech especially since little did she know that “Don’t Run Away” was going to be performed live. It currently has 943,801 views! The concert on November 7 is sold out! Due to popular demand, another show was added on November 6 which is currently available only to 2015 season package ticket holders. Tickets for the general public go on sale on Wednesday, April 8. Looks like there’s not a bad seat in the house! Counting UP – Are We There Yet? Well, our countdown is finally over. 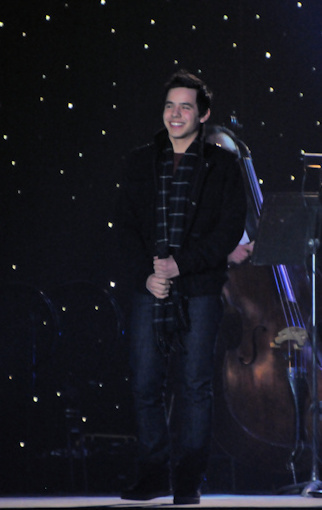 David Archuleta is home! Yay!! Do any of you feel a bit lost or confused right now? I do. David’s home. He’s not in Chile anymore. But what does that mean in terms of being a fan for the moment? When he was gone, the countdown made sense. We knew the date he left so we knew approximately when he’d get home. I don’t know about you, but I never really thought much farther than that while he was gone. I had a return date. That was all I needed. I knew he’d be back by the end of March and that was good enough for me. I settled in for the long haul and knew I’d have to find ways to amuse myself. No problem. I did. For two years. But….he’s home now. I don’t know what I was expecting but I don’t think this is it. I feel like I’m still waiting for him to get back. And I guess I am because, while we’re no longer waiting for a return, we’re still waiting for something else. Something more. The Music. 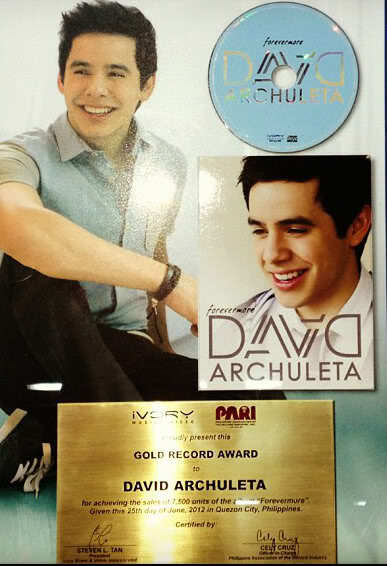 Because to us, David = music. Second, we don’t have a date. We’re no longer counting down, we’re counting up! But up to when? It’s the not knowing that makes it hard. It’s like being on a road trip and not knowing your destination. If you know it, then you can anticipate if it’s going to be a long trip and be prepared to sit back and relax knowing you won’t be there for quite a while. When you know it’s going to be days in the car, you prepare for it. A half hour trip is nothing. Just your driver’s license and the car will get you there. If you’re going to be driving for a really long time, you pack an ice chest, you bring iPods and iPads, you pack a bag and book a hotel. The problem is that (even though we don’t mind waiting) we have no idea where we’re going or how long we need to be prepared to wait. I want him to take as long as he needs; forever if that’s what he needs for HIM. But for ME, I hope I don’t have to wait that long. *sigh* It’s the final countdown (or count UP). If only we had a clue. I’m trying to be patient but can we get a hint? Pretty please? Should I pack an ice chest? Will I need my iPod and iPad? MT is a staff writer for The Voice. 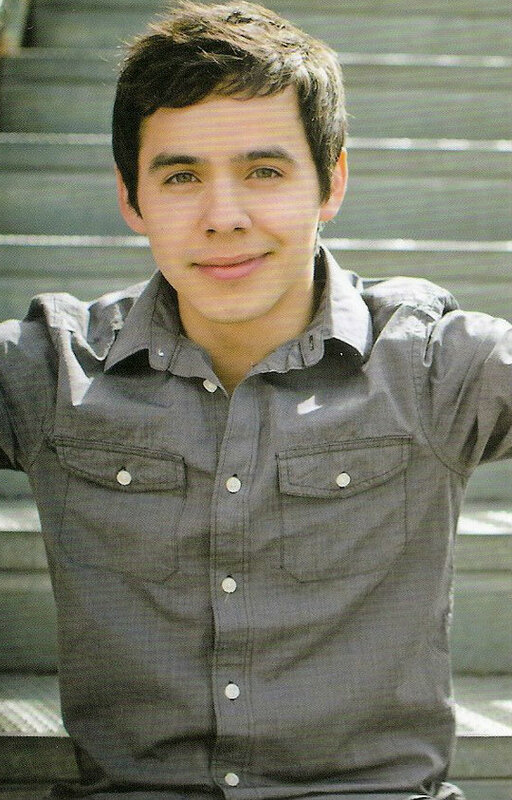 HAPPY 23rd BIRTHDAY David Archuleta! 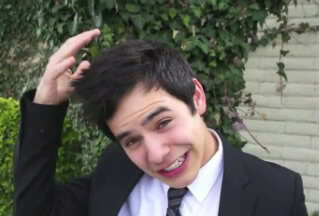 David is only a hop, skip and a jump away from his return!!! send to David for his 23rd birthday! Last year she also created one that had over 1000 signatures. She thought David would like it and did he! Elder Archuleta sent us this! the card to be printed into a birthday book. The great staff at Staples remembered last years birthday project and let her know they’re ready to help! So please, if you haven’t already signed the card click HERE to go, no RUN to sign David’s 23rd birthday card. There are about 600 birthday wishes as of now and we need at least 600 more to get it above last years count. It would be awesome to receive a picture of his joy upon receiving it. The deadline to sign is October 4th. This will give enough time to get it printed and bound into a beautiful card from all of his fans. THIS!!! This video is all kinds of WIN! That’s pretty much all I could say at first about the amazing studio recording we got as a gift from Kari Sellards. I was left almost speechless after the first viewing. I was having a hard time thinking of what I could possibly say about his brilliance in that video. I can’t tell you how amazed I was watching him in action in the studio. I am in awe, to say the least. Why do I love it so much? Well, I’ll be “shallow” first and say I love the little glance he gives at the beginning, a quick glance directly at the camera showing us he knows he’s being recorded. And let’s face it, he is beautiful with a set of headphones on. I don’t really know why I love that but I do. Love Love Love. Maybe it’s because in my mind he is a “recording” artist and him with headphones while he’s in studio is what my mind feels is a true depiction of who David is. It’s where I feel he belongs. 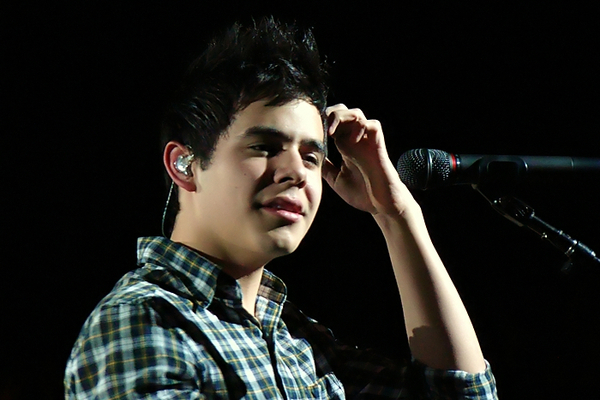 (And on stage of course) No matter how gorgeous he is, it’s really all about The Voice and the genius behind it. David in studio, in this video, shows us just how talented he is. And though I have no technical expertise when it comes to music, even I can recognize what a true professional he is, the amazing control he has over his voice, how brilliant he is with improvisation, and how he “feels” the music and is able to so beautifully express himself through perfectly matched vocals. As someone with no musical talent, I would probably be trying to match the music with my notes and tones. 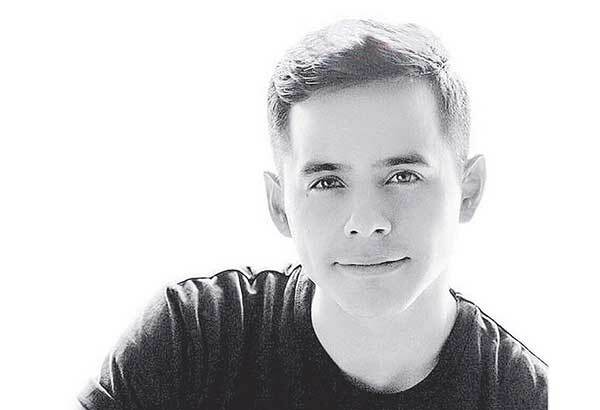 But David knows how to take the music to a new level by contrasting his vocals and adding another melodic layer as well as a depth of emotion to the song that can pierce your soul. *sigh* Beautiful. I’ve heard (seen?) fans say, “What I wouldn’t give to have David at my house for a day so I could pick his brain, or just talk to him for hours.” Me? NO WAY! No way could I have David talking to me for a day. I’d be a nervous wreck. I love the guy but the thought of talking to him terrifies me. (But in a good way! haha) I am in awe of him and would probably be struck dumb, so that wouldn’t work for me. But what I WOULD love is to be in the recording studio with him for a day. Not near him, just standing in the background watching. I would pay big bucks to just watch him being himself, recording, improvising, discussing the technical aspects of what he needs to do. 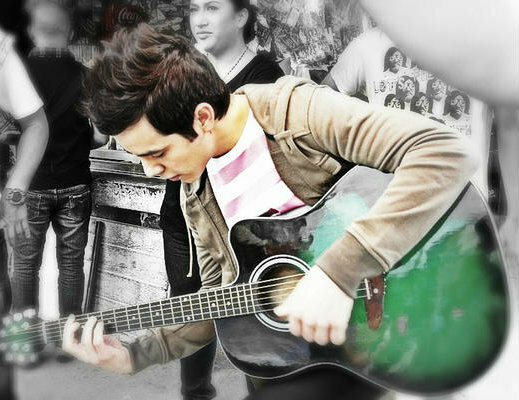 And then watching him do what needs to be done, while at the same time adding what he “feels” into the songs. I’d love to watch his mind at work, watch his genius at work. Add to that the wonderful benefit of getting to hear that voice all day, in person. I can’t imagine it getting any better than that. Abrra, I feel extremely inadequate in writing this. For one thing, I cannot find where it relates to David, and I expect it to bore everyone. I could not find the words to relate how much fun it was, mostly to be going with my lovely granddaughter. I threw in everything and hope you will cut it drastically. I only do this because you asked me to and I love you 🙂 Will send pics. ~ Dayzee. Inspired by photos of my parents from the 1920’s, my granddaughter and I take a week every summer to visit the ghost towns and old mining areas where my father worked at that time. It is interesting to see where they lived so long ago in east central Utah. This year we visited Canyonlands, Capitol Reef and Arches National Parks and Goblin Valley State Park. We hiked to a place in Arches where the wind had eroded a twisting tunnel through the mountain and when the wind blew it would scream. 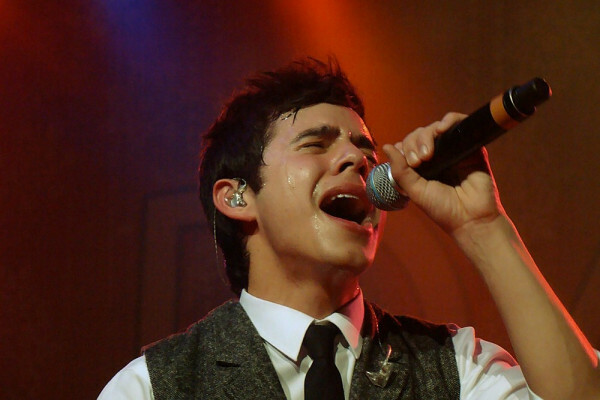 It was hard not to relate Arches with “Archies” or “Archuleta.” Especially when I heard the screams. It was just the wind, but it sure brought back fond memories. This year we made plans for a hot air balloon ride. I know David took a ride in a blimp, but I’m pretty sure he once said he’d like to ride in a balloon someday. The most difficult part was getting up at 4:20 so that we could be in the balloon basket by dawn. We watched them fill the balloon and get it off the ground. The basket had four areas that held three people in each, with the pilot in the center. 13 people? What were they thinking? Indeed. What were they thinking when they put like, a hundred people in a VIP and you had to stand on sore feet for hours waiting for a brief encounter with the pilot, uh, David. Well, he is kind of a pilot of sorts, fixated as he is on going up. Think about it: The Other Side of Down, Elevator, Parachutes and Airplanes, Zero Gravity, and that “like a satellite we’re flying” song. But I digress. We were the only people from Utah, except David, who is from Utah but he wasn’t there, but I’m sure he would have wanted to be. There were only 4 of us from the U.S. There was a couple from Germany, one person from Ontario, one from Australia and the others were from Asian areas. 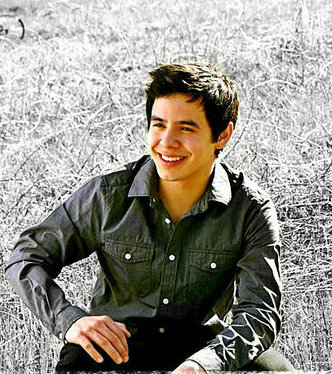 Unfortunately, for many fans, David has only been to the Asian areas. I’m sure that will change when he gets back though. Ages ranged from 8 to 78, much like the demographic of David’s fan base. It was great hearing their stories. The fellow from Australia had been ballooning in many different countries and he was disappointed to find there was no wild life to be seen in that area. The only living things I have seen in that desert are lizards. None large enough to be seen from a balloon. It piqued my imagination that he had seen giraffes and kangaroos from the air. David would have liked that. He loves animals. He might even love lizards. I don’t know. He wouldn’t step on one, that’s for sure. When we go skydiving, (uuurrk!!!! Wait! What? Guurrl, you can’t just throw a line like that out and not give details, Dayzee. Please elaborate in comments.) the plane reaches an altitude above 12,000 feet. The balloon was only 3,000, but that was enough. With the balloon there is no steering and the pilot controls altitude by heating the air in the balloon. He then finds air currents to ride on. We were in the air for 90 minutes. About the length of time of a David concert. The pilot radioed his crew where to pick us up, but as we were landing a strong wind blew us to the wrong side of a railroad track. The balloon was lifted again and the ground crew grabbed ropes and pulled us to the side where they could retrieve the balloon and pack it on the truck they had driven there. Just like the roadies pack up David’s gear and off he goes in the bus they had driven there. It was a great experience that we will never forget. I could say that about every David concert I’ve been to too. But I digress. That reminds me, David digresses a lot, like the way he can never stay on topic in vlogs, just rambles on and on in that adorable way of his. Oh dear. I did it again. #DA2014 can’t come soon enough. Just come back soon David, even in a hot air balloon. But you better make it soon. Let me start by admitting that I know as close to nothing as you can get about the technical terms in music. 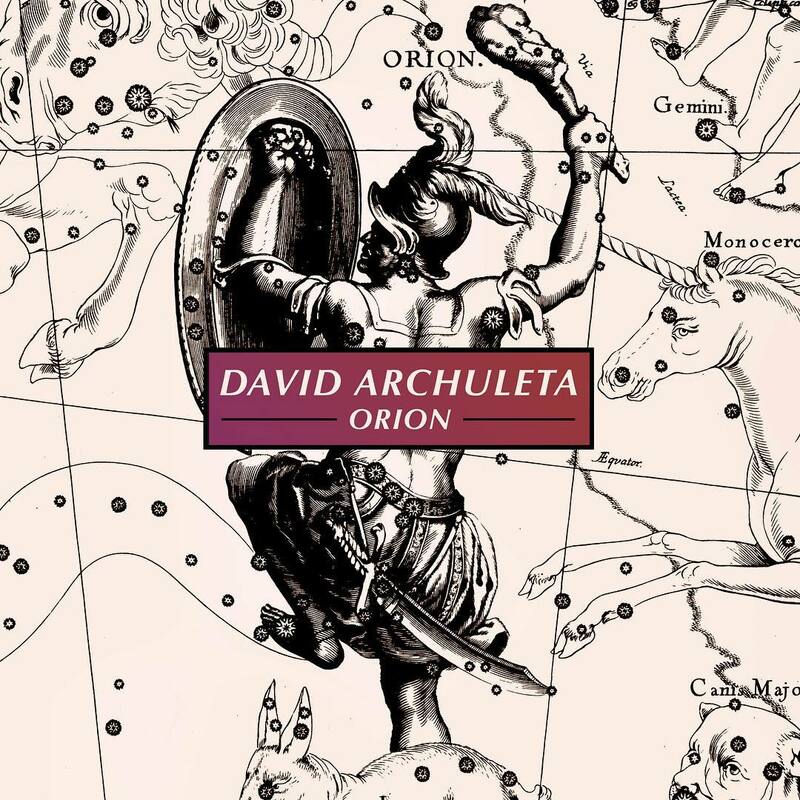 I just know what I like and this song falls into the category of, David songs I really love. It makes me want to take a course in music just so I could talk about it in the proper terms. But since there’s no time for that, I’ll say it as simply as I can and hope you get what I mean because as far as I’m concerned, this song deserves special mention. It is beautiful and sweet and light and airy. It gives me chills and makes me want to dance. From the first notes, “Heart Falls Out” makes me smile. It begins with a fuller sound rather than with the simpler, acoustic type beginnings in some of David’s songs. I love the way they used synthesized sounds, adding techno effects and drums that almost feel like a heart beat. Somehow, that drum beat forms a connection to my own heartbeat and makes the music feel like it moves through me. The first notes he sings are just ‘ohhhhhh, ohhhh noooo.” Oh, boy! When he’s just making sounds, with no words, it feels like it’s pure emotion. Right there, he has me hooked and the rest of the song just keep pulling me along. As he begins singing the lyrics, you hear his beautiful, pure, clear voice, then the auto tuned part kicks in and seems to duet with him. One more thing I need to make note of is the background vocal track. I’ve always been a fan of his background vocals because they seem less “rehearsed,” more raw and emotional, and I think this is where David truly shines. I am a big fan of the riffs and runs David adds to live performances and the background vocals sound like the same thing. They feel spontaneous and real. If I could change one thing on this song, it would be during the last 1:30 of song. The volume on the background vocal is too low for me and I find myself straining to hear it. I would love to hear what it would sound like if the volume on that part was turned up enough to sound like a duet because those vocals are what capture my attention and reach out to me. The combination of all these things, along with so many others that I don’t have the expertise to even try to describe, makes this an outstanding song for me. If I have time to listen to anything these days when I’ve been so busy, it’s this song. It’s been on repeat since it downloaded from iTunes. I love this song. And when I say I love this song, I really mean it. Love, Love Love. It’s a keeper and will probably remain at the top of my playlist for a very long time. 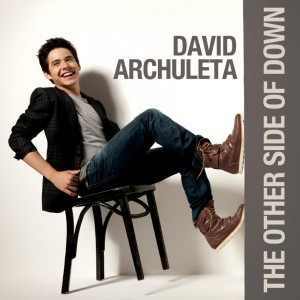 Kudos to David, LadyV, and the producers for doing an amazing job on this song.